The regiment was recruited from the Siebenbürgen area of Southern Hungary, which is now part of Northern Rumania. In 1914 the majority, some 73% of the regiment were ethnic Rumanians with the remainder being a mixture of various nationalities including German speaking inhabitants of the Siebenbürgen area. The regimental "Inhaber" or honoray colonel was General der Infanterie Heinrich Freiherr von Pitreich. Appointed as such in March 1903 he would hold the appointment for the remainder of the regiment's existence. The outbreak of the First World War found three of the four battalions of the 63rd Infantry Regiment (II., III. & IV.) grouped under the regimental commander, Oberst Johann Hefner in Generalmajor Wenzel Bauriedl's 70th Infantry Brigade of Feldmarschall-Leutnant Viktor Njegovan's 35th Infantry Division. A part of General der Infanterie Hermann Kövess's XII Corps they were assigned initially to the Balkan front in General der Kavallerie Eduard Böhm-Ermolli's 2nd Army. 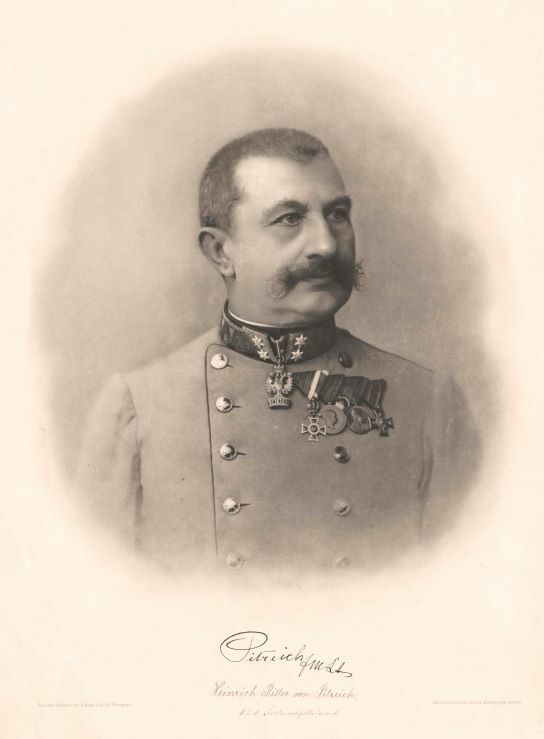 The detached 1st Battalion under the command of Major Thomas Filipesko was assigned to Generalmajor Guido Novak von Arienti's 1st Mountain Brigade directly under command of the XVI Corps of Feldzeugmeister Wenzel Wurm in Feldzeugmeister Oskar Potiorek's 6th Army also deployed for operations against Serbia. On the 8th and 9th of September 35th Infantry Division took part in the assault over the River Wereszyca and in continued fighting in the vicinity of Lemberg (Lvov) until the 11th. The whole of 2nd Army withdrew through the Carpathians in early October and the division saw further action at Chyrów and South of Przemsyl in mid October and at Stary Sambor during the latter part of the month. On the 6th of November much of the 2nd Army was moved from the Carpathians to Prussian Silesia and from the 16th until the 28th of November 35th Infantry Division took part in the battles at Czestochowa followed by further fighting south of Lódz from the end of November until the 16th of December. Following the successful battle of Limanowa-Lapanów the division was involved in the pursuit of the retreating Russian forces north of the Vistula river from the 15th until the 18th of December and for the remainder of the year was fighting around Tomaszów. While the forces further south had an extremely difficult time during the Brussilow offensive of June 1916 and the Russian advances to the West following the initial breakthrough, Army Woyrsch successfully held its positions around Baronowicze with the Austro-Hungarian XII Korps holding positions just to the North of that place. Following the stabilization of the situation on the Russian front the 35th Infantry Division spent the remainder of the year and the following winter in small scale fighting on the rivers Szczara and the Berezina still under command of XII Korps under Heeresgruppe Woyrsch when it was moved along with the 24th Infantry Division to the Southwestern front on the Isonzo the following May. The regiment and division arrived just in time to participate in the 10th and 11th battles of the Isonzo being subordinated to Feldmarschalleutnant Maximilian von Csicseric's XXIII. 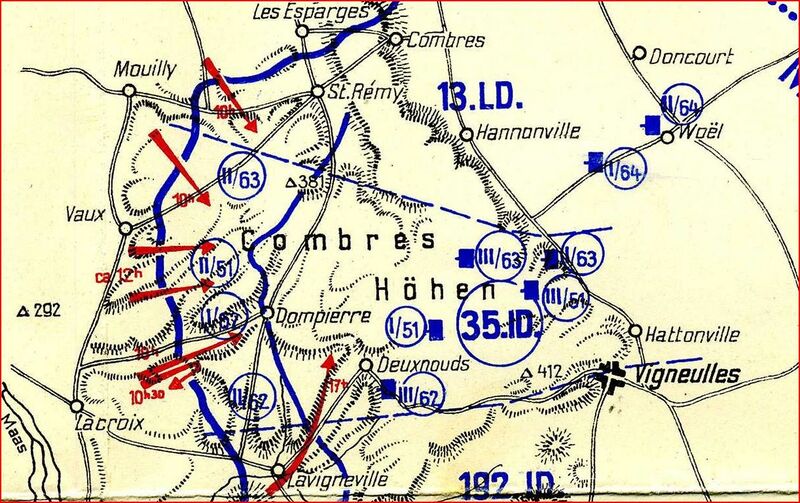 Korps in Sector or Abschnitt III covering the southern sector of the front. It was here that the later Wehrmacht General Friedrich Franek took part in the defensive action at Hill 146 near Flondar as the company commander of the 17th company that would result in a postwar award of the coveted Military Order of Maria Theresia. The division took part in the victorious advance to the Tagliamento river and the following pursuit to the Piave where it was involved in fighting on either side of Vidor. With the reorganization of the Austro-Hungarian Infantry in early 1918, two battalions of IR.63 were detached to become the nucleus of the newly formed IR.103 (the formerly detached I and the VII). IR.63 remained in the 70th Infantry brigade as a now standard three battalion infantry regiment. At the start of the fighting during the Piave battles in June 1918 the division was in army reserve of Generaloberst von Wurms Isonzo-Armee. It participated in the battle from the 15th to the 25th of June and was then sent to the western front as part of the German Armee Abteilung C in July. It was subordinated to FML. Ludwig Goiginger's XVIII Korps and was still commanded by FML. von Podhoránszky. It participated in the battle of St. Mihiel on the 12th and 13th of September and returned home in November. 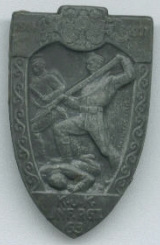 The detached 1st battalion fought throughout its wartime existence in the South, initially in Serbia and Montenegro and for the next three years on the Isonzo and the South Tyrol until it became a battalion of IR.103. It saw action as part of the 1st Mountain Brigade in the initial fighting around Gorazde in August 1914 and the offensive into Montenegro followed by fighting on the Drina from 6th September until the 4th of October 1914. It defended the bridgehead of Zvornik and saw further action at the battle of Kolubara and on the River Ljig from the 16th to the 28th of November. It saw extensive and bloody action after moving to the Isonzo in May 1915 as part of Generalmajor Eduard Böltz's 18th Infantry Division and was responsible for holding the vitally important Hill 383 on the East bank of the Isonzo opposite the small town of Plava. It took part in all the early battles of the Isonzo and then took part in the battles in the Val Sugana in April 1916 and the South Tyrol offensive fighting at Folgaria and Lavarone from the 15th until the 26th of May 1916. By October 1916 the battalion was subordinated to Gruppe Vidossich in GdI Ritter von Krautwalds's III Korps, 11th Army and by the Summer was serving in the 22nd Landsturm Mountain Brigade. Transferred along with IR.64 back to the Isonzo for the 11th battle the battalion eventually was reunited with the remainder of the regiment until permanently transferred as a part of IR.103.